There are many parking options available for our concert attendees. Please check out the Arts Centre website for updated information. Free parking is available at all Dalhousie General Permit lots between 4:30 pm and 1:30 am. The lots closest to the Arts Centre are on Henry Street at the Central Services Building, the large lot by the Sir James Dunn building accessible from Cobourg Road and the spots on Alumni Crescent off South Street. 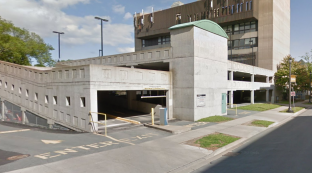 Dalhousie University McCain Parkade: This parkade includes “pay and park” dispensers, and is located in the basement of the McCain building, right across the street from the Dal Arts Centre’s side door. It’s open to the public anytime after 6:30 pm. 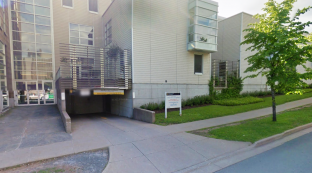 Dalhousie University CS8 Parkade: FREE parking is also available in the parkade behind the Rowe Building (between Seymour and Henry Streets). It’s open to the public anytime after 6:30 pm. If your concert is at St. Andrew’s United Church, you’ll find free parking on the streets around the church, although spaces fill up quickly. Please plan to arrive early to find parking, ask a friend to drop you off, or check out public transit options here. For more information about short-term or daytime parking on Dalhousie campus, please click here.